Next to rose gardening, my favorite hobby is reading. I can’t get enough books to read although we have already so many books in our home library. Winter is the best time to indulge myself. Here are some books which you might find helpful in the coming season. 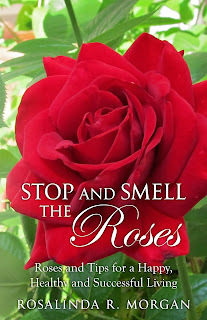 Taylor’s Guides – Roses Completely Revised and Updated by Nancy J. Ondra. Everything you need to know can be found in this guide. There are almost 400 photographs of roses with description as regards to their growth habit, winter hardiness and fragrance. Landscape with Roses by Jeff Cox This is an excellent idea book on new ways of using roses in your landscape; in the mixed border, walkways, arbors, containers, even clambering up a tree and adorning architectural structures. There are over 300 full color photographs and about 100 black and white photos.